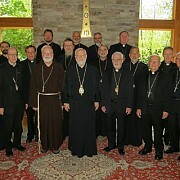 From May 22-24 in the Cultural center of the Diocese of Boston of the Greek Orthodox Archdiocese of America, the 25th meeting of the North American Orthodox-Catholic Commission was held. 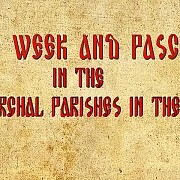 On the 24th and 25th of May the clergy of the Central States Deanery of the Patriarchal Parishes in the USA assembled for the first of their two semi-annual meetings of the Deanery at St. Elias Church in Battle Creek, Michigan. 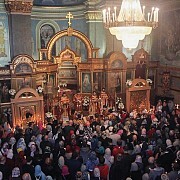 On Sunday May 22, the Holy Orthodox Church commemorates the Translation of the Relics of St. Nicholas to Bari, in 1087. Bishop John led the Divine Services in St. Nicholas Cathedral in New York City on the occasion of its minor patronal feastday. 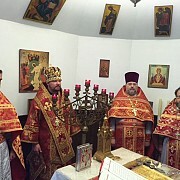 On Bright Saturday, May 7th, the Administrator of the Patriarchal Parishes in the USA, His Grace Bishop John of Naro-Fominsk led the traditional Divine Liturgy on Bright Saturday with clerics from across the Patiarchal Parishes in Sts. 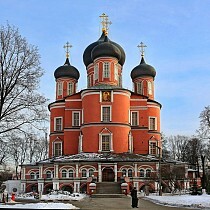 Peter and Paul Cathedral in Passaic, NJ. On Bright Saturday, following Divine Liturgy in Sts. 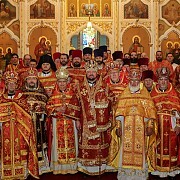 Peter and Paul Cathedral, the Administrator of the Patriarchal Parishes in the USA, His Grace Bishop John of Naro-Fominsk led a session of the Bishop's Council. On Bright Friday, May 6th, the feast of St. George the Great Martyr, the Administrator of the Patriarchal Parishes in the USA, His Grace Bishop John of Naro-Fominsk led the Divine Liturgy on the occasion of the patronal feastday of St. George Church in Bayside, NY. 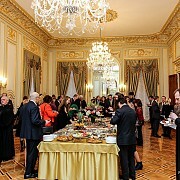 On Bright Friday evening, May 6, the traditional Paschal Reception was held in the General Consulate of the Russian Federation in New York City. 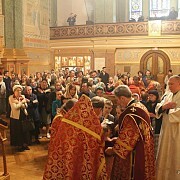 On April 30th and May 1st, the Administrator of the Patriarchal Parishes in the USA, His Grace Bishop John of Naro-Fominsk led the Divine Services for the Great Feast of the Resurrection of Christ in St. Nicholas Cathedral in New York City.